Welcome to Practical Shooting 101. There are no textbooks in this class. All you need is your favorite firearm, a safe attitude, and the desire to have fun! What did you do during your last range trip? Did you stand on a firing line and shoot a static paper target? If you said yes, that’s okay. The fundamentals of basic marksmanship should be practiced early and often in one’s shooting career. Nevertheless, consider your shooting abilities beyond static target shooting. Have you ever shot at a moving target? Have you ever shot at a target while you were moving? What if you have to engage a target from an unusual position, like under a table or over a barrel? These are the sorts of things you encounter in practical shooting competition. The textbook definition of practical shooting would be using a firearm to engage targets in a dynamic scenario. Practical shooting finds its roots in law enforcement and military training. The people who protect us don’t know what they will encounter in the real world, so they need to know how to run their gun in any situation. Practical shooting gives everyone a chance to learn these same skills. What do you actually do in practical shooting? The courses, targets, and procedures vary between the disciplines, but the fundamentals are the same. Get the gun in your hand and engage the targets, avoid the no-shoot targets, move as necessary, and manage your ammo. The timer is running, and accuracy is a big part of the score. The goal is be fast and accurate. In addition to improving our gun handling skills, practical shooting has a lot to offer the competitor in all of us. The various sanctioning bodies have local, regional, national, and international matches, which draw major sponsors. There are divisions for almost any firearm and classification systems that allow shooters of similar abilities to compete against each other. No matter your skill level, your equipment, or where you live, there is a place for you. Gun owners have the ultimate responsibility of safety, and practical shooting will reinforce the safe mindset. Thousands of competitive shooters prove every year that you can draw, move, and shoot your firearm quickly, and accurately, all while not hurting anyone and having a lot of fun. What does this have to do with Beretta, you ask? There are many national and international wins for the Beretta pistol in the practical shooting scene. I have competed with the 92FS, the PX4 Storm, and the M9A1. Although I have tried other guns, I keep coming back to Beretta, simply because they always work. When the pressure is on at a match, I only have to worry about how I will perform, not how the gun will perform. 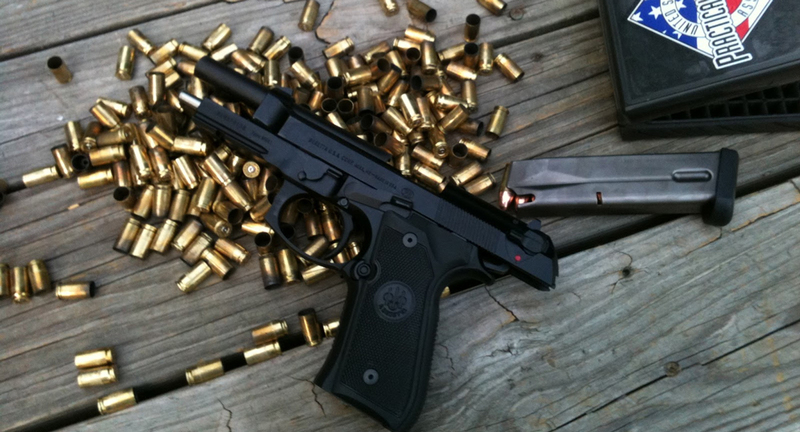 Your homework for next time: check out some of the info on the web about practical shooting. It’s one of the most challenging and exciting shooting sports, and we always need new folks. Next time we’ll talk about the gear you need and how to get started. Class dismissed.